※1 ：Effects of a carbohydrate-protein beverage on cycling endurance and muscle damage. Med Sci Sports Exerc. 2004 Jul;36(7):1233-8. 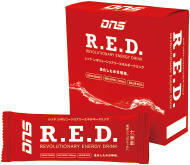 ※2 ：International Society of Sports Nutrition position stand: Nutrient timing. J Int Soc Sports Nutr. 2008 Oct 3;5:17. doi: 10.1186/1550-2783-5-17.